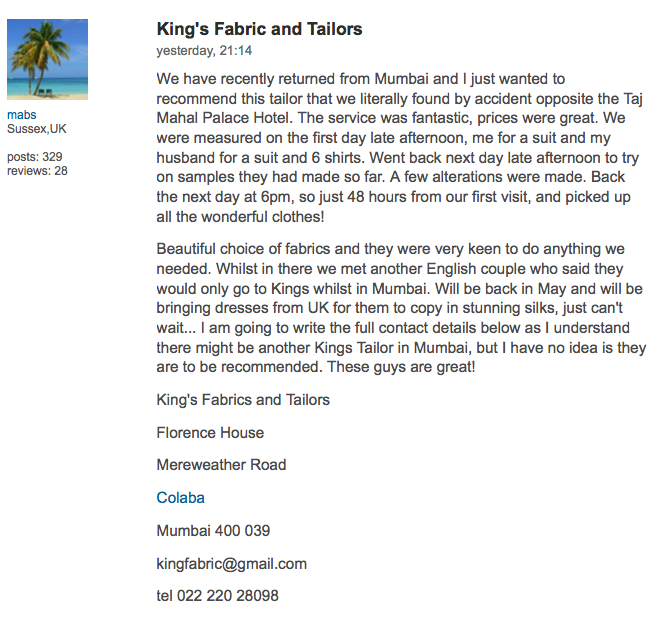 King’s Fabrics and Tailors | Travel Smart! The best tailor in Colaba, Mumbai! Behind Hotel Taj Mahal, Colaba, Mumbai-400 039.